No sooner had the Wall Street Journal published an article today (Feburary 17, 2012) about Harbinger Capital hiring lawyers to consider suing the Federal Communications Commission (FCC) over the agency’s latest action on LightSquared, but its principal now finds himself the subject of class action suit. A New York City law firm today filed a class action lawsuit against Philip Falcone and his Harbinger Capital LLC on behalf of the hedge fund’s limited partners, citing the Falcone’s investment in LightSquared Subsidiary LLC. The complaint, filed by Zamansky & Associates, alleges that the defendants breached contractual and fiduciary duties to the limited partners and made false and misleading statements in the course of soliciting investments in the fund and communicating with the limited partners. The case, Schad v. Harbinger Capital Partners LLC et al., No. 12-civ-1244, was filed in the United States District Court for the Southern District of New York, and has been assigned to U.S. District Judge Alison J. Nathan. The Harbinger offering memorandum describes an investment strategy starkly different than the one Falcone actually pursued, the law firm alleges. Instead of following the strategy he had outlined, Falcone used the limited partners’ funds to buy a controlling stake in SkyTerra, later renamed LightSquared, according to the complaint. "When Harbinger took its controlling stake, LightSquared was an enormously risky company whose very existence depended on receiving an FCC license to build a vast proposed wireless network,” Zamansky & Associates says in a statement about the lawsuit on its website. 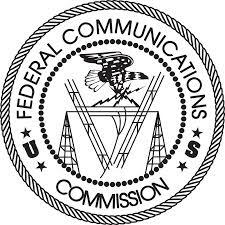 On February 14, as a result of LightSquared’s demonstrated potential interference to GPS signals and receivers, the FCC International Bureau announced its intention to vacate a January 2011 conditional waiver order permitting LightSquared to establish the wireless broadband network. Zamansky & Associates LLC, 50 Broadway, 32nd Floor, New York, NY, and their co-counsel, Girard Gibbs, LLP of San Francisco, filed the case. The firm says it specializes in securities fraud and financial services arbitration and litigation and is representing investors in arbitration and federal and state litigation against financial institutions, including Goldman Sachs, Bank of America and JP Morgan Chase.